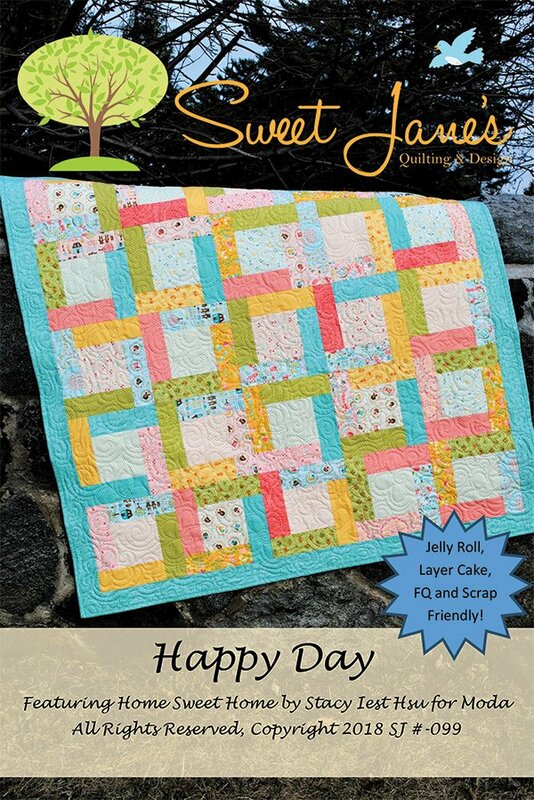 Happy Day Quilt Pattern by Sweet Jane's SJ099. Multiple quilt sizes. Jelly Roll, Layer Cake, Fat Quarter, yardage friendly.